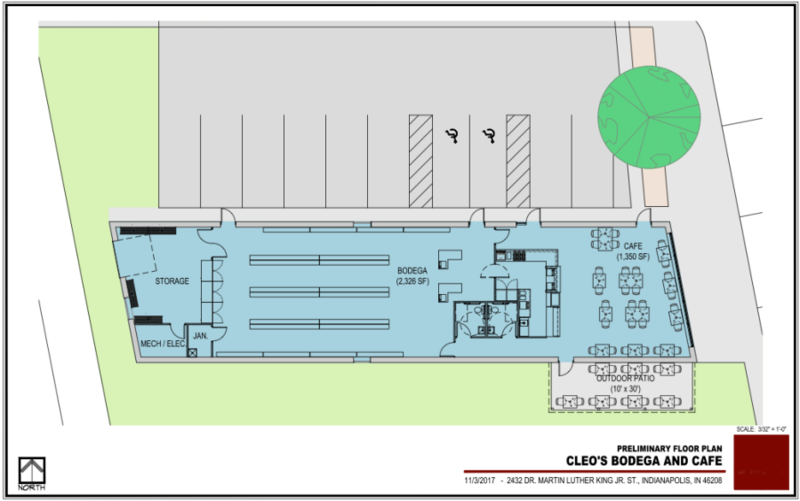 Located within the North West Area (NWA) of Indianapolis, CLEO’S BODEGA will seek to serve as a food access hub for the community. The NWA is the largest food desert in Indianapolis. While also taking on the issue of food security, this project will also be a Workforce Development initiative with a commitment that the people who work in the store will be hired from the neighborhood and community through the Flanner House Community Center for Working Families Program. 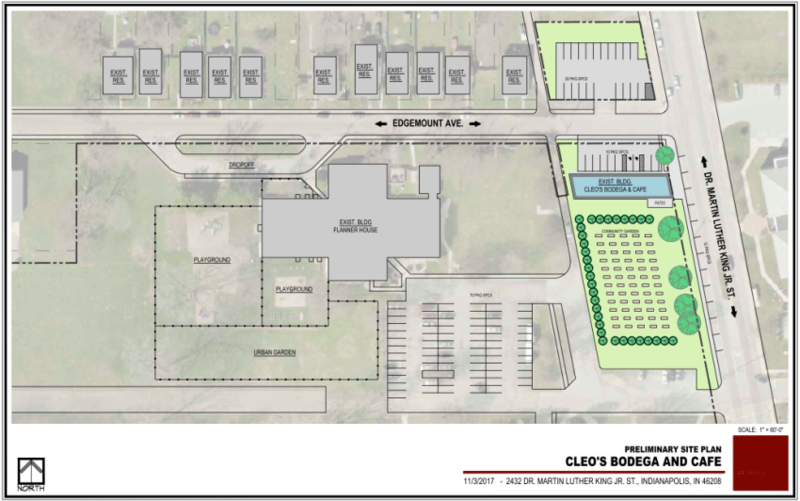 The store will also serve as a place where not only produce from Flanner House in Brandywine Creek Farms organic farming initiatives can be sold but will also be a retail outlet for other Urban farmers in the Northwest Community. CDBG funds to be used directly for the construction of the bodega.